Imagine all the best aspects of being a Nurse in a more flexible, autonomous and dynamic setting. At Aetna, we're pioneering a total approach to health and wellness, focusing on the whole person - body, mind and spirit. Our more than 4,000 nurses are central to turning our members' health ambitions, big and small, into achievements. If you're looking for a career with flexibility and an opportunity to excel as a professional, you've found the right place. We meet our members where they are and wrap our support around them. Maybe you’ll work with someone who’s coping with a cancer diagnosis. You could help women have healthy pregnancies and babies. Or coach someone who’s trying to lose weight. You’ll use our vast information resources and tools to personalize care. And you’ll be encouraged to cut through red tape to meet members’ needs. You can sign up to receive alerts when openings occur that interest you. Or look below now for a job in one of these nursing areas. Explore the many important roles for nurses at Aetna. As a field case manager, you’ll help injured employees get the care they need. You’ll meet them at home, at their workplace or in the doctor’s office. After you assess their medical and vocational needs, you’ll coordinate with health professionals to develop treatment plans and solve any issues. The goal always is to make sure they receive the right care so they can return to work. You’ll also act as a liaison between the employees, their families and the employer and insurance company. You’ll use your clinical experience and skills to coordinate with the member’s health care team. This may happen before or after care occurs, or during a hospital stay. And you’ll make or recommend a decision about coverage of health care services. You’ll refer members to appropriate programs, such as case management or disease management. For people in the hospital, you’ll make sure there are plans for discharge and continuing care. And you’ll create and implement health strategies and tactics to promote overall wellness. You can put your passion for wellness to work as a health coach consultant. You will talk with members in depth to assess their individual needs and goals. Then you'll work together to develop wellness plans that they can stick with. You’ll stay in touch to help them stay motivated. As needed, you’ll also provide education and referrals to Aetna programs, support groups and other resources. The members you work with may be trying to quit smoking, lose weight, eat healthier, reduce stress or get fit. Whatever the goal, the focus is on long-term behavior change for a happier, healthier life. You’ll put your clinical experience and critical thinking skills to the test as a quality management consultant. We want to make sure our members receive the right level of care, at the right time and in the right way. To that end, you’ll review medical records to make sure that treatment is in line with our clinical policies. You’ll also look at whether care meets government and accreditation requirements. You may work to resolve any issues with quality of care or clinical access. And you’ll coordinate with other support resources so that members can achieve the best outcome possible. You’ll make recommendations and coordinate the appeal process. And you’ll work with clinical and other resources so that members can achieve the best possible outcomes. Are you a natural teacher? Do you connect with people so they quickly grasp what you're trying to say? If so, you may want to put your communication and people skills to use as a nurse educator. You'll work with new hires and existing staff. You'll develop training programs that transition smoothly into the workplace, helping staff to fine-tune practices and processes - all while collaborating with specialty areas and using technology to support learning. As a utilization management nurse associate, you’ll help make sure that our members receive the right care at the right time – and at reasonable cost. You’ll use your clinical and managed care experience to support timely coverage decisions for our members. 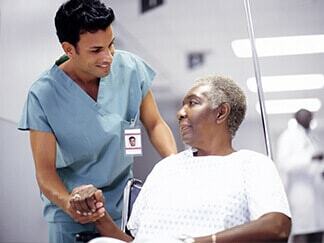 You’ll gather documentation before or after care occurs, or during a hospital stay. And you’ll look for Aetna programs and other resources to help members achieve their best outcomes and overall wellness. You’ll present the condensed information to an appropriate specialist for a decision. And you’ll work with clinical and other support resources so that members can achieve the best outcomes possible. 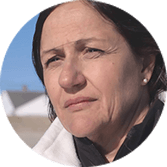 After a cancer diagnosis, see how a case manager provides an unexpected level of comfort and learning. An Aetna wellness coach offers invaluable support, including after tragedy.